The following description of the Rogation Processions comes from a canon of the cathedral of Siena named Oderico, who in the year 1213 wrote a detailed account of the liturgical texts and ceremonies used in his church. Oderico does not describe the dragon, but given that Siena is in Tuscany, still a major center of leather-working to this day, we may imagine that the dragon itself was a large wooden image mounted on wheels or a cart, and the inflatable tail something like a leather bellows. It should be noted that in addition to the processional cross, Oderico mentions both banners and relics as part of the processional apparatus. In the medieval period, it was considered particularly important to carry relics in procession; so much so that, for example, a rubric of the Sarum Missal prescribes that a bier with relics in it be carried even in the Palm Sunday procession. 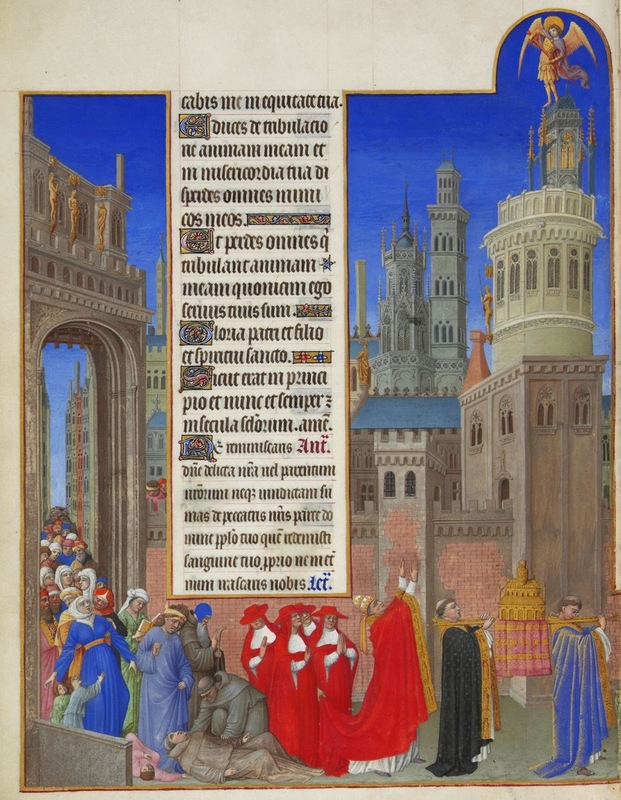 A typical bier for these processions is shown in the lower right corner of this page of the famous Book of Hours known as the Très Riches Heures du duc de Berry. 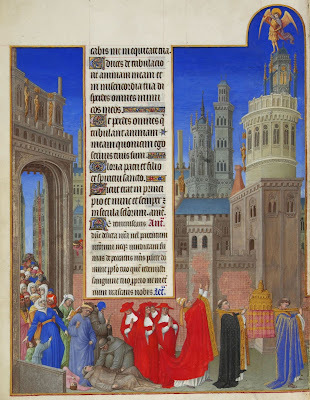 made by the Limbourg brothers between 1411 and 1416.